Climate change has a real impact on communities here in Ireland as well as abroad. Many community groups want to help reduce Ireland's carbon footprint and save money by implementing cost effective energy-saving measures. As Ireland’s leader Community Loan Finance provider, Clann Credo can help your community climate action project with the finance it needs. Clann Credo is a not for profit charity which considers the impact your project has on your community. 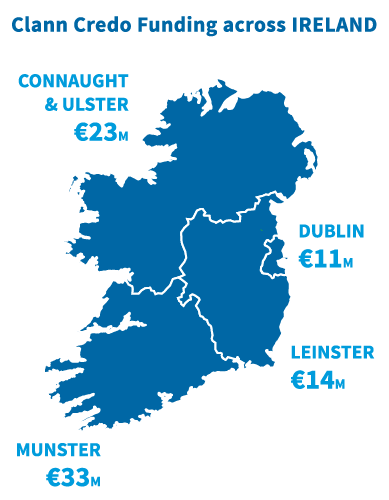 We have loaned over €100 million to more than 900 community projects nationwide over the past 20 years. 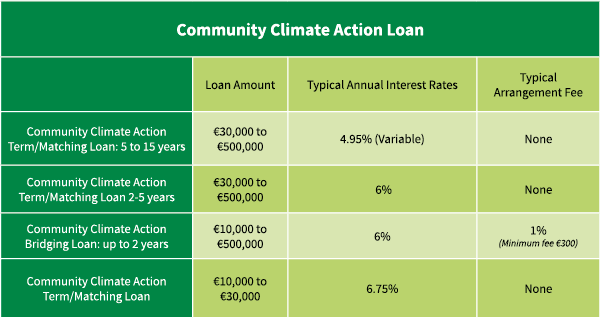 We now have a special €10m Climate Action Loan Fund to help community groups maximise their impact on Climate Action by providing them with Community Loan Finance.